Camps start as early as June 2. For a complete listing of camps with dates, times and schedules and to create an account with our on-line registration provider, Family ID, just click on the link - https://www.familyid.com/mead-high-school or copy and paste the web address into your browser. 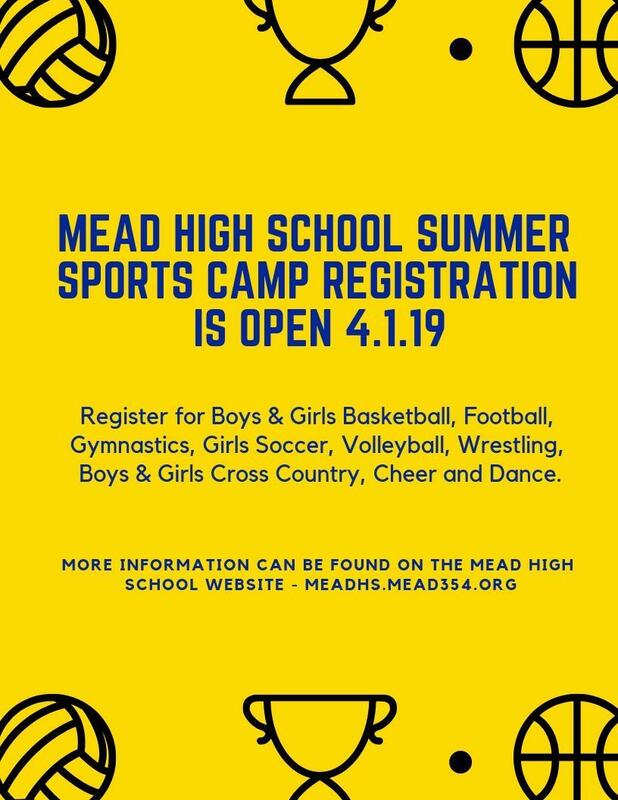 Information is provided on our Mead High School website on our Athletics Page by clicking on 2019- PANTHER SUMMER CAMP REGISTRAION - 2019. Additional forms can also be found on our Athletics Page by choosing Health Care Plans and Medication Forms.